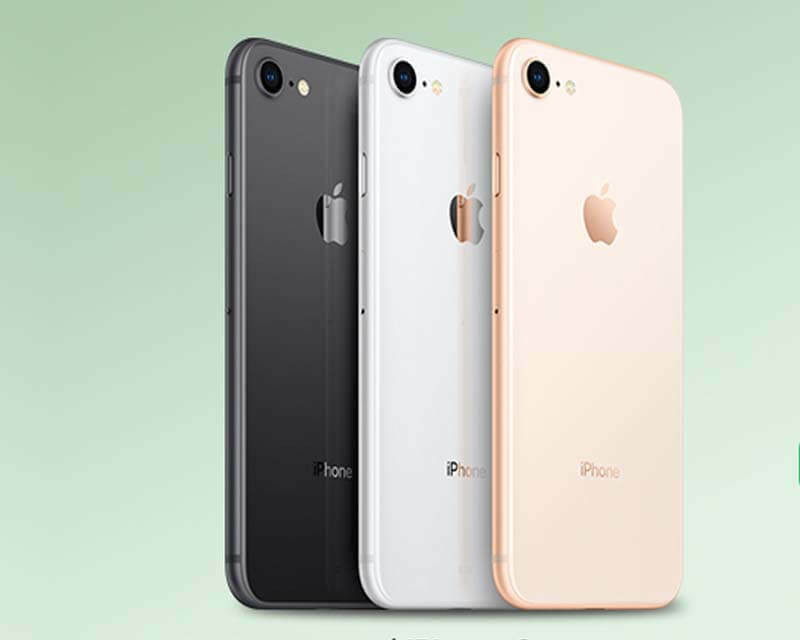 Smart Communications put up the pre-order page and postpaid plan pricing for the new iPhone 8 and iPhone 8 Plus to those who are interested to get the new Apple’s flagship smartphones. 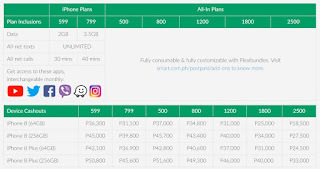 You can get it at base plan 599 to 2999 with the cash outs, the bigger the plan price the smaller the monthly device fee. The iPhone 8 plans also include Smart call, data, text services monthly depending on what plan you avail. You also have the option to customize your plan add-ons with Flexibundles and get one app (YouTube, Twitter, Facebook, Viber, Waze and Instagram) access monthly. The plan offers is available to new and re-contracting postpaid subscribers. All plans are under a 24-months contract or lock-in period with options to amortize the monthly device fee on top the plan price you availed. You can also apply for these plans at 0% credit card installment basis. Below is the plan inclusions (data, texts, call, free apps and more) base on above pricing table. You can click the image to zoom the details. For more cheaper plans, see All-in plans for iPhone 8 and 8 Plus. To avail, you can visit the iPhone 8 order page or go at your nearest Smart Store nationwide.